Today is Monday, December 13, the 348th day of 2016, with 18 days remaining. There are eight days until the winter solstice, 10 days until Festivus, 11 days until the start of Hanukkah, 12 days until Christmas Day, 38 days until Donald Trump becomes president of the United States, and 693 days until the November, 2018 mid-term election. On this day in 1928, in Carnegie Hall in New York, George Gershwin's jazz-influenced symphonic poem An American in Paris was performed for the first time. 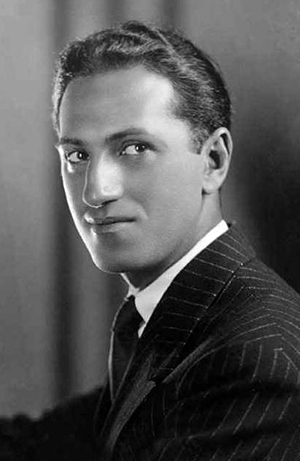 Gershwin composed the work on commission from the conductor Walter Damrosch. He scored the piece for the standard instruments of the symphony orchestra plus celesta, saxophones, and automobile horns. Among other things, today is National Cocoa Day. Monkeys were actually the first creatures to discover that the cacao plant was edible, but it took humans and 2,000 years to come up with the Reese's Cup. Florida man wearing bucket on head breaks into religious store to steal pigeons. "I don’t know what's going here in Miami," Mae Hernandez told WSVN. "People don’t have respect for anything." As of this writing, The KGB Quotations Database contains 42,991 entries. Check it out. George P. Shultz, American economist, statesman, and businessman. To gas light is to psychologically manipulate a person to the point where they question their own sanity, and that's precisely what Trump is doing to this country. He gained traction in the election by swearing off the lies of politicians, while constantly contradicting himself, often without bothering to conceal the conflicts within his own sound bites. He lied to us over and over again, then took all accusations of his falsehoods and spun them into evidence of bias. At the hands of Trump, facts have become interchangeable with opinions, blinding us into arguing amongst ourselves, as our very reality is called into question. The Syrian civil war was started by a 14-year-old kid and a can of spray paint. Bipartisan electors ask Director of National Intelligence James Clapper: release facts on outside interference in U.S. election. "The Electors require to know from the intelligence community whether there are ongoing investigations into ties between Donald Trump, his campaign or associates, and Russian government interference in the election, the scope of those investigations, how far those investigations may have reached, and who was involved in those investigations. We further require a briefing on all investigative findings, as these matters directly impact the core factors in our deliberations of whether Mr. Trump is fit to serve as President of the United States. Additionally, the Electors will separately require from Donald Trump conclusive evidence that he and his staff and advisors did not accept Russian interference, or otherwise collaborate during the campaign, and conclusive disavowal and repudiation of such collaboration and interference going forward." 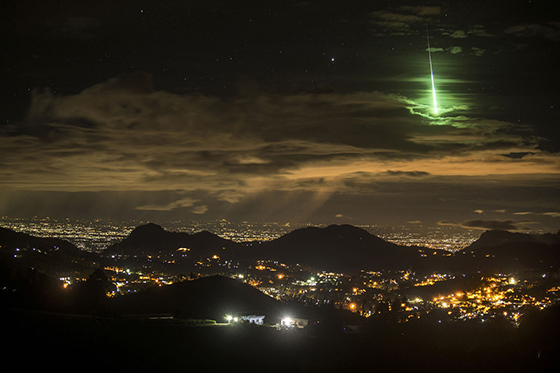 Serendipitous Green Meteor is one of the winners in the 2016 National Geographic Nature Photographer of the Year Contest. Click here for the full story and large images. Americans are increasingly intolerant of adultery, but a leading American relationship guru believes they should take a more European attitude. Why the CIA thinks Russia wanted Trump to win. Not all of the 17 intelligence agencies agree with the CIA's assessment, but all agree the Russians engaged in hacking. Speaking of hacks, several Netgear routers have an easily exploitable security vulnerability, here's how to test yours. Netgear has confirmed that several of its routers, including the R7000, R6400, and R8000 have a security issues that could allow someone to take control of your router if you click a malicious URL. The routers infected included several of Netgear’s most popular models, including the "Nighthawk" series. Netgear has only confirmed three models, but others are suggesting the R7500, R7800, R8500, and the R9000 are all also affected.